We need your help for a successful RIOT Summit! The RIOT Summit brings the RIOT community together. You want to help us to make this a very successful event? The RIOT Summit 2018 offers sponsors the following benefits. If you are interested in supporting RIOT Summit 2019 you are most welcome to do so. 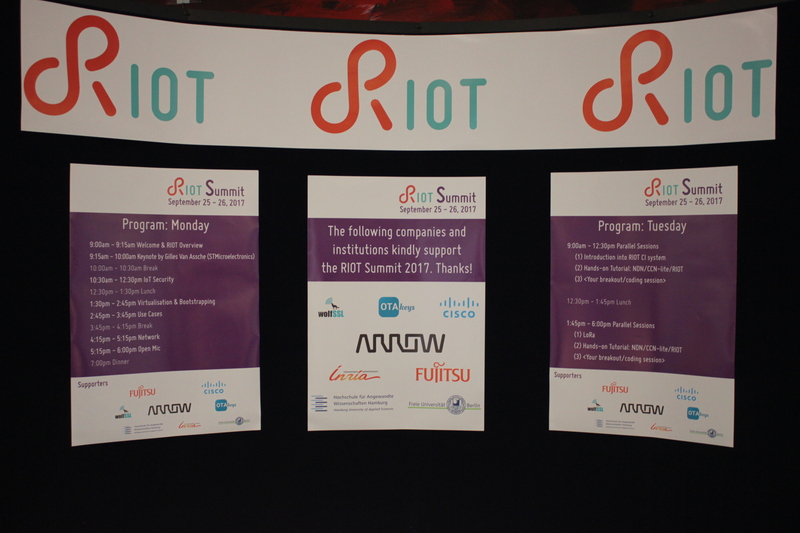 For details please contact summit@riot-os.org.